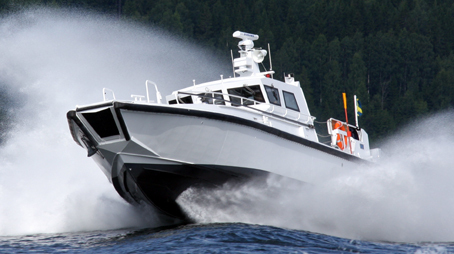 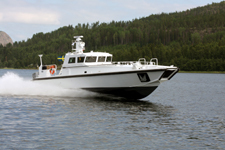 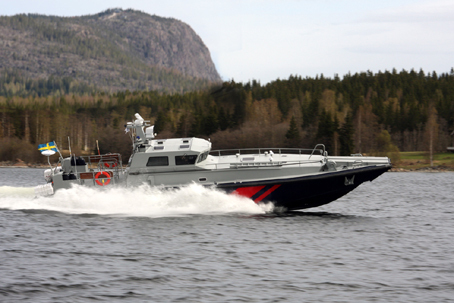 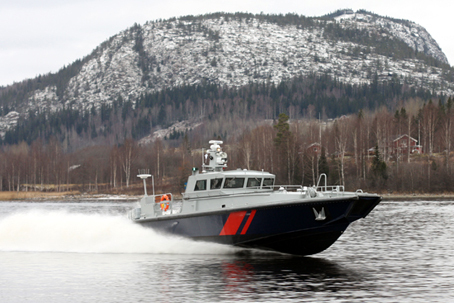 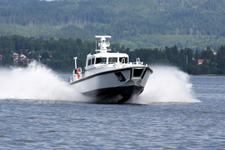 Dockstavarvet delivered its first 16 meter Interceptor Craft “IC 16 M II” in 2004. 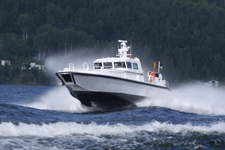 The first vessel was taken over at Dockstavarvet by Autogrand Marine Ltd, and operates on the inland waterways of Russia. 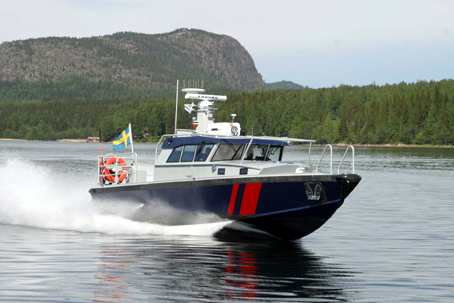 The low radar profile of the new IC 16 M together with its extreme speed resources, over 50 knots, and manoeuvrability makes it a most powerful platform for police and security operations. 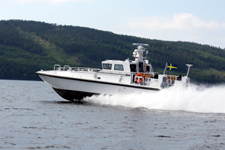 The technical systems installed on the new craft are based on proven Combat Boat, the CB 90 H developed for and together with the Swedish Navy now operating 147 units.